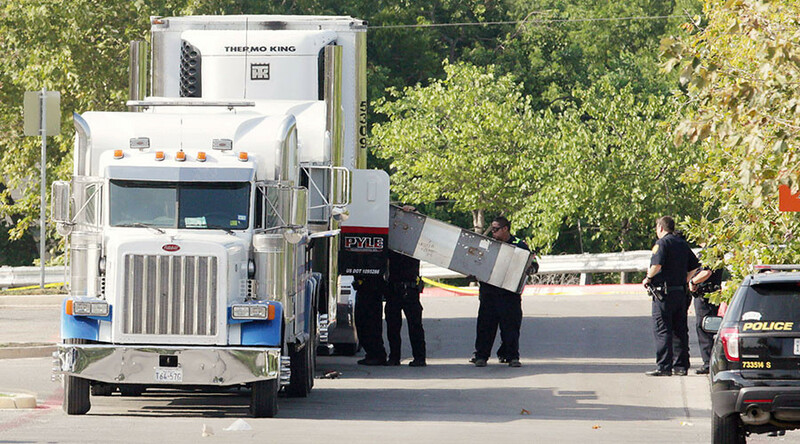 The US Department of Homeland Security has taken over the investigation of an immigrant smuggling case, where at least 8 people were found dead from heat exhaustion in a locked up trailer in San Antonio, Texas. When San Antonio Police arrived at the scene they found eight people dead. Another person died in hospital, after being rushed along with sixteen others for medical treatment. Thirteen migrants are being treated for non-life-threatening injuries. While most are believed to be in their 20s or 30s, at least two migrants appeared to be of school going age. The victims “were very hot to the touch. So these people were in this trailer without any signs of any type of water,” San Antonio Fire Chief Charles Hood said, according to AP. The Justice Department said the 60-year-old driver, identified as James Mathew Bradley, from Clearwater, Florida, is in federal custody and will be charged next week. San Antonio Police and the US Homeland Security Unit will now focus “to determine the origin of this horrific tragedy,” Police Chief William McManus said, according to the LA Times.